soul of knowledge had fled from its coverings. On 25 July last, Guru Purnima was celebrated in many parts of the country. Much has been made of its significance in the life of an individual as a day to honour one’s guru, since he or she has the ability to bring the light out from within a sea of darkness that is the normal human condition. This would be the apt imagery of the cosmic significance of Guru Purnima, from where the more commonly-understood sense arose centuries ago. But, herein lies the problem. These festivals and celebrations at their origin were derived from the cosmic harmony. This would be the harmony of our solar system with its planets orbiting the Sun at different rates of motion. For us the pertinent rhythms to understand are the Earth’s since the entire complex is viewed from this vantage point. The Earth with all her living creatures becomes the centre of the universe, as it were, in order to understand the convergence of these harmonies on this particular point in the System. In the specific case of planet Earth we experience that relationship by the flow of the seasons in the course of the year. From very ancient times the year was honoured because it was understood to be akin to a womb – in this case, of Time – within which the days, nights, months, and seasons were nurtured; hence we speak of ‘Mother Earth’ in order to describe this nurturing quality. Allowing the population to partake of the harmony of the Year was the task of sages, and later of temple pundits. That is, the correct timing of rituals had to be established, otherwise the connection with the cosmic harmony would be lost. Especially important was the division of the year into four quarters, each one marked off by an Equinox or a Solstice – that is, equal or unequal days and nights. Due to the axial tilt of the Earth with respect to the ecliptic plane, which extends from the Sun and within which all the planets orbit the luminary, the four seasons come into being. It can thus be appreciated that this tilt, with its resulting four seasons and measures of day and night, is the most important harmony to understand and honour. The Cardinal Directions/Poles supporting this harmony are East/West/North/South. The southern Pole is the focus of this analysis. It is known in ancient lore as Cosmic Midnight. The two items we must focus on regarding Guru Purnima are the Solstices of December and June. The latter is the longest day of the year in the northern hemisphere, the former the shortest. The shortest day occurs on the December Solstice; its cosmic sense is that the light (as symbolised by the Sun) begins to increase, each day becoming longer from that point onward. Whereas at the June Solstice, increase is reversed and decrease sets in, the days becoming increasingly shorter, or the light of the Sun lessened. Being our harmonic connection to Surya, these rhythms have taken on special meaning on the subcontinent from ancient times. The December Solstice is considered the most auspicious time of the year (Makar Sankranti/Pongal), while at the June Solstice the most ‘inauspicious’ period begins, Adi in Tami Nadu. There is another Earth/Sun harmony that forms the universal background of Guru Purnima, relevant for both northern and southern hemispheres. This is perihelion and aphelion – when the Earth in toto moves closest to or farthest from the Sun, respectively. Guru Purnima should logically fall during the month of aphelion. In the zodiac, or the ecliptic pathway of the planets divided into twelve, aphelion occurs on 4th or 5th July, or exactly in the middle of the fourth sign Cancer – aptly known as Cosmic Midnight, or the Vedic Diti, Mother of Division and Darkness, given this distance from the luminary. This is precisely when the Guru enters the scene and replaces the Sun which is then submerged in the deepest midnight darkness. In the planetary family, Guru is Jupiter/Brihaspati, largest of all. That Guru Purnima should be celebrated in Cancer (21-22 June - 22 July), which in astrology is held to be precisely the month of the ‘exaltation’ of Jupiter/Guru as all competent astrologers know, reveals the wisdom that can be gained from observation of the cosmic surround applied to Earth. This wisdom has been incorporated in temple architecture of South India where Jupiter is honoured as Dakshinamurthy, precisely the Lord of the South, because the sign of his ‘exaltation’ is indeed the south Cardinal Pole. He brings Light in the darkness to the whole nation through his southern abode of Exaltation. From this we appreciate the coherency and homogeneity of the ancient knowledge. It was and remains the only tradition that reveals the sense and purpose of evolution and how the cosmic surround speaks to us of a living and eternal truth – unlike scientific cosmology which meticulously explores the universe but without ever grasping its meaning for the individual and society. Lamentably, on the subcontinent this tradition of the Veda and temple culture is all but lost, as I will endeavour to explain. Celebration of Guru Purnima is fully cosmic in origin – purposeful and meaningful. As if it were a relay station, with the full Moon (transmitter of the light of the Sun) in Cancer, or Cosmic Midnight, the drama is enacted in each disciple or devotee, regardless of caste or creed. Nor is there any religious/denominational context to the celebration. It is simply an enactment of the harmony of our solar system, exactly as it transpires in the heavens. This cosmic process is described in each temple in South India. The language employed is Myth because it is the universal language of the soul, common to all people, high and low, near and far. And this Soul is what becomes encased in a womb of darkness in zodiacal Cancer, the Cosmic Midnight beginning on the Solstice, 21-22 June each year. This fourth sign is also known as Adi in South India and is considered inauspicious. But when the cosmic sense is restored this label in inappropriate. It would be the same as saying that a mother is ‘unclean’ or ‘evil’ (the temptress Eve) when she carries a foetus in her womb. On the contrary, she serves a noble purpose in the Earth’s evolution by offering herself as a channel to propagate the species. Regarding the higher sense and purpose which drives the evolution, Woman is Shakti who propels the process forward, protects it as a womb does, and combats all evil that seeks to destroy the creation she carries within. In the light of ancient knowledge, Adi is not ‘inauspicious’ but merely ‘gestational’, hidden from view. What is ‘gestated’ must wait the appropriate time for emergence. Thus, the ancients throughout the world considered it to be an indrawn period – not because of any inauspiciousness but because it is preparatory. In the cosmic/evolutionary sense, in Adi what is hidden is the divine Spark that is the soul whose light is but a speck immersed in the nurturing cosmic sea, to be fully born in Cosmic Midday, its opposite pole in the year. Our Earth Year indeed holds unimaginable secrets. Is it any wonder that the Rishis made it the focus of the Sacrifice? These events are astronomically verifiable. Even a layperson can calculate with reasonable accuracy when the June Solstice occurs. Similarly, Guru Purnima is easily spotted in the heavens. But the problem – a serious one – is that this simple and obvious connection with the celestial harmony has been lost, incongruous as it may seem. It is no longer Guru Purnima of the cosmic harmony. I am glad that the Calendar Reform Committee has started its labours. The government of India has entrusted to it the work of examining the different calendars followed in this country and to submit proposals to the government for an accurate and uniform calendar based on a scientific study for the whole of India. I am told that we have at present thirty different calendars, differing from each other in various ways, including the methods of time reckoning. These calendars are the natural result of our past political and cultural history and partly represent past political divisions in the country. Now that we have attained independence, it is obviously desirable that there should be a certain uniformity in the calendar for our civic, social and other purposes and that this should be based on a scientific approach to this problem. It is true that for governmental and many other public purposes we follow the Gregorian calendar, which is used in the greater part of the world. The mere fact that it is largely used makes it important. It has many virtues, but even this has certain defects which make it unsatisfactory for universal use. It is always difficult to change a calendar to which people are used because it affects social practices, but the attempt has to be made even though it may not be as complete as desired. In any event, the present confusion in our own calendars in India ought to be removed. I hope that our scientists will give the lead. New Delhi, February 18, 1953. The objection I have to the above is that Jawaharlal Nehru selected men for this most important task largely from the scientific community. Indeed, he makes it clear that in his view science is the ‘reliable’ source to set matters right for the Hindu Samaj, to ‘give the lead’. I am astonished that no one complained about this misconception at the time, or even since then. The result is that Hindus are obliged to follow the lead of science in matters wherein it has no competence. The result is that Guru Purnima – and all other festivals, solar and lunar – are celebrated 23 days late; not a few hours or even minutes – bad enough – but a full 23 days! Therefore, we find that Adi, the only month in which Guru Purnima should fall to maintain its cosmic connection and sense, according to these latter-day pundits begins when Adi has actually passed! It should be within 21-22 June and 22-23 July, the same today as during the Sangam Era and the Vedic Age, with no ‘corrections’ required. Instead it is celebrated with the full Moon of an Adi which these scientists claim occurs 23 days later – or after 17 July when the true Adi is actually nearing its end. Imagine the cosmos as a room. We enter and press the light switch; but nothing happens because the electrical wires ARE NOT CONNECTED. Everything is in place but not connected. The competent electrician was not called in to make the system work. This is exactly what happens when time/wire connections are not made – no power, no light. There is no sanction for this aberration anywhere in the scriptures; or even by just plain common/cosmic sense. The true Adi is astronomically verifiable; that is, measured on the backdrop of the ecliptic divided into twelve zodiacal sign/months and further divided into four – the four seasons or the Cardinal Poles of Equinoxes and Solstices – east, west, north and south; as eternal as is the cosmic surround. Nehru’s scientists held different views, as do Nirayana astrologers/pundits today throughout India, who are the ‘authorities’ when temple timings and astrological calculations are required. For these calculations they erroneously project the Earth year onto the circle of fixed stars, called sidereal. According to them the four Cardinal directions/poles may be disregarded entirely as raconteurs of this exquisite cosmic tale because they do not exist in that constellation of distant stars (also erroneously called ‘zodiac’ by science to further confuse the issue). There is no ecliptic there, no plane where the planets journey around the Sun, and hence no Equinoxes or Solstices – the harmony at the basis of all temple architecture and worship. Yet we have allowed this lack of cosmic knowledge to prevail and to ‘turn off the light switch’. Strange as it may seem, every Hindu temple is nonetheless aligned to those four Cardinal Points (which science and Nirayana astrologers discard). That is, the spatial measurement in temple architecture is accurate and honours the cosmic harmony. But when it comes to adding the temporal measurement (turning the light switch on) for every ceremony thereafter, mystifyingly they turn to ‘science’ which now dictates terms to wisemen. No, they claim, the solstice of June does not fall on the longest day of the year but occurs 23 days later! Or else they claim: Of course the solstice occurs on the longest day of the year, but the zodiacal sign Cancer (Cosmic Midnight) must be separated from the solstice, as Makar Sankranti must be separated from the December solstice. Their reasoning is that Cancer is ‘no longer there’ where it once was; it has ‘shifted’ by 23 days. But none realise or will admit that for these ‘corrections’ THEY ARE USING THE WRONG CIRCLE. Can our Cardinal Poles and their rasis ‘shift’? Yes, but only when Knowledge is absent. Then all ‘lights’ are put out. According to these ‘pundits’ time bears no intrinsic cosmic connection, much less any sense and purpose. South Cardinal Pole Cancer, equalling Cosmic Midnight, makes no sense to them. So, we are forced to ask, what purpose does it serve to celebrate Guru Purnima at all? Why worship Dakshinamurthy in his temple if that south pole is not honoured in time as well as in space? Time for these scientists is simply relative and can be anything and everything, according to the fashion of the day; unlike in ancient times – and even today for those of the Vision and who have had intimate concourse with Mahakala, with Samvatsar and Samvatsaragni. In Myth it is the union of Parvati and Siva. Until that takes place, Siva lies inert – and meaningless. Motion, the great Dance of Nataraj, is what gives meaning and purpose to the cosmic harmony. And this wealth of Knowledge is conveyed in the zodiac and preserved in Hindu Temples, for all times, for all people. But those who should know better follow material science in matters of high spiritual import like meek lambs. The result is that Adi for followers of ‘science’ begins on 17 July (when real Adi is almost over) and ends on 17 August. It is interesting to note that the entire Hindu Samaj in the south is obsessed with the ‘inauspiciousness’ of Adi. The faithful rush to complete marriages, projects, purchases and the like ‘before Adi begins’, when it actually began on the June Solstice, 23 days earlier. So, these events all transpire right in the middle of that ‘inauspiciousness’ everyone seeks to evade! We have the Nirayanis to thank for this absurdity. But, let me be absolutely clear. There is no dire misfortune that awaits followers of the material sciences and Nirayana astrology which I term appropriately post-Vedic, for this transgression of the knowledge. Such fears are simply based on superstition. I do not mean that there are no consequences from following unquestioningly a false lead. Surely there are, but it is not misfortune in the sense we understand the term – i.e., bad luck or some such calamity. It is, simply put, ignorance. We chose to align ourselves with Cosmic Ignorance rather than Cosmic Truth which is the Vedic/Sangam way. But ponder this: Might not ignorance be the cause of all calamity, and loss of the Knowledge the root of all superstition? I have studied almanac literature published by well-meaning individuals who seek to restore the Sayana system in lieu of the Nirayana currently in use. They consider the former Vedic; at the same time they reject the use of the zodiac as it is known universally, with its pictographs and hieroglyphs, claiming that it is not Vedic but was brought into India by the Greeks. I have refuted these claims elsewhere and need not repeat the exercise. Suffice to state that there is an exoteric or external tradition in the Rig Veda, and an esoteric doctrine for initiates. The difference can be gauged precisely by recognition of the zodiac used for the initiation described in the Veda. Those who do not recognise that secret knowledge remain in the outer corridors and fail to understand what India has had the privilege of preserving for the world. But surely we have the right to question why the entire temple culture of South India is based on that very zodiac they reject as ‘un-Vedic’. Were the sages of the days when temple culture was established so shallow and ignorant that they mistook a ‘foreign import’ for Vedic lore? The contrary is true: the Indian temple preserves VEDIC LORE, and that is ‘written’ in the zodiac, and only the zodiac in use throughout the world. Is it not marvellous to realise that the ancient Rishis had the foresight to carry forward the tradition in such a way that when just the right time would arrive that Veda would serve not just India but the whole world? The main feature of Capricorn and for which reason it is the sign of the Golden Age or the Satya Yuga, is that, just as Dr Pandian mentions, the Sun casts no shadows at this highest Cosmic Midday point. That is what defines the Satya Yuga: shadowless; and this was a fact incorporated in 700 CE in this marvellous temple of South India and made a central part of temple worship every year at the Capricorn solstice on 21 December. I must further state that without the zodiacal background, these cosmic directions, south and north, would be meaningless, just as they have become for scientists and Nirayana astrologers. Cosmic Midday ought to be the most important festival in the calendar for Hindus because it is India’s ruling sign. Instead, the pundits tell us that Capricorn and Cancer ‘are no longer there’. 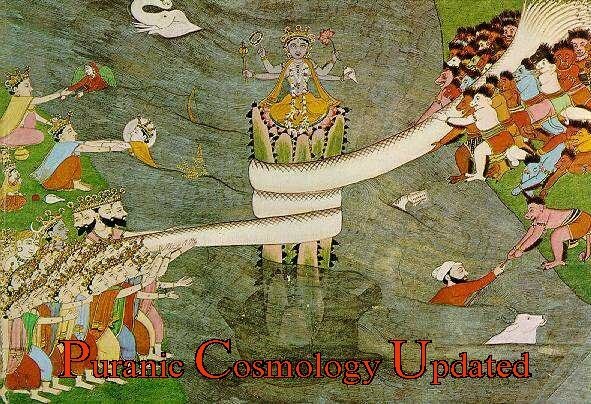 They have shifted by 23 days and therefore devotees are forced to celebrate these Capricorn entry, that ‘shadowless’ Cosmic Midday, 23 days after the fact, on 15 January ; while others tell us that this zodiac was brought by the Greeks and cannot be related to the Veda and should therefore be discarded. And thus marvels of concept such as the Tanjavur Temple go completely unnoticed. Ignorance rules the day. This brings me to discuss Guru Purnima’s main significance, the one that truly inspires awe in the heart of the disciple or devotee. Since the celebration occurs – or should occur – in true Adi/Cancer/Cosmic Midnight we realise how wise those who understood the cosmic script were. In order to align our consciousness-being with the Cosmic Truth and not the Ignorance (as in the darkness of midnight), the Guru’s help is the only way for this mortal race. Without that Light we are simply lost in the dark cosmic sea, tossed hither and thither like a rudderless ship. That ‘sea’ can be either the Divine Mother’s womb and hence our protection and nurturer, or the Mother of Darkness and Division. Knowledge or superstition? The choice is ours. The Guru who can distinguish the difference between Cosmic Truth and Cosmic Ignorance would be great indeed.